Eagan is a city located in Dakota County in the State of Minnesota. The city is south of St Paul and lies on the south bank of the Minnesota River and upstream from the confluence with the Mississippi River. Eagan and nearby suburbs form the southern portion of Minneapolis-St Paul and also known as the Twin Cities. The population of Eagan was 64,206 from the most current census and ranked as Minnesota's 11th largest city. The sixth largest suburb in the metro area, Eagan is predominantly a commuter town for both downtowns of the Twin Cities. Eagan is a convenient location to both downtowns of Minneapolis and Saint Paul, only a short drive to the Minneapolis-Saint Paul International Airport and Mall of America https://www.mallofamerica.com/ . Eagan is located in Minnesota which is known for best state for women https://www.mnrealestate.com/minnesota-voted-1-state-for-women/, second best state for raising a family, second healthiest state and over-all second best state to live in the Nation. 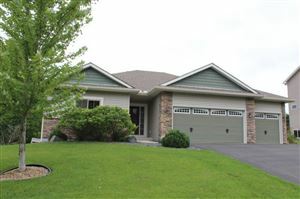 This database includes all homes currently for sale in Eagan, Minnesota. Some helpful tips to navigate the search is to start by clicking on the "PROFILE" option in the top right of the page and entering your email and creating a password. Then proceed to enter in your search criteria for area, price range, and any other important categories. Then click on "SEARCH". If you like that search and want to get daily updates, click on "SEARCHES" on the top of the page next to “PROFILE” and make sure the box is checked to have daily searches sent to your email. If you see a home you really like, and you have clicked on the image to view all the details, you will see a "SAVE TO FAVORITES" button on the top left you can click to save it for future review. Any time you come back to www.findahomemn.com and you click on "LISTINGS" at the top right you can view the history of all your saved homes.